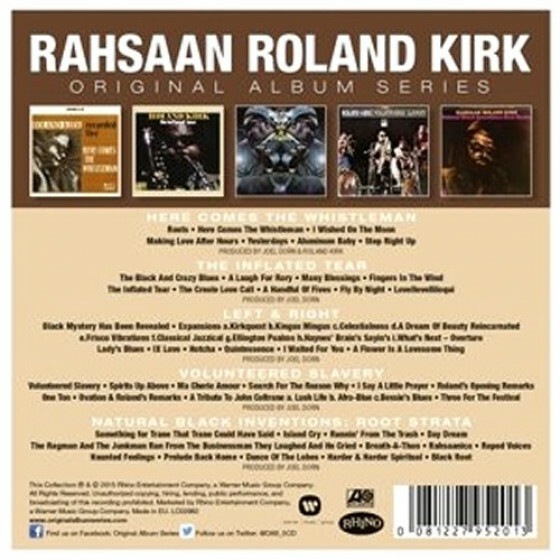 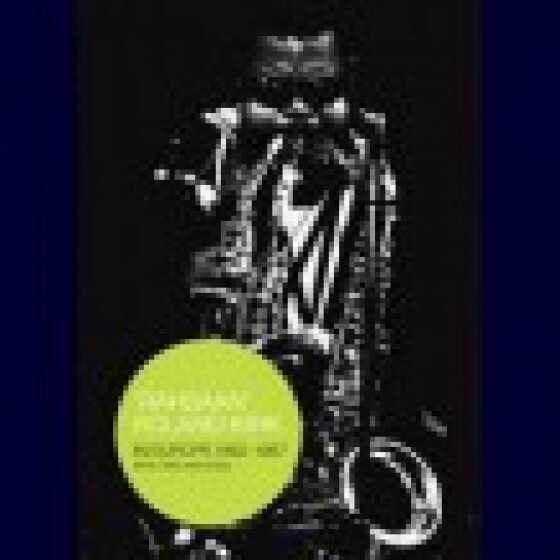 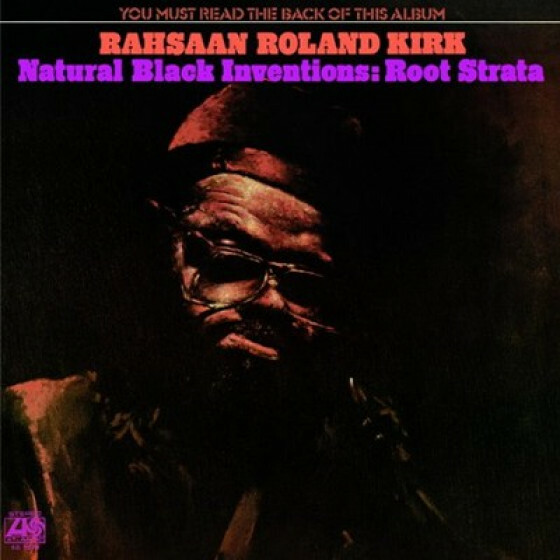 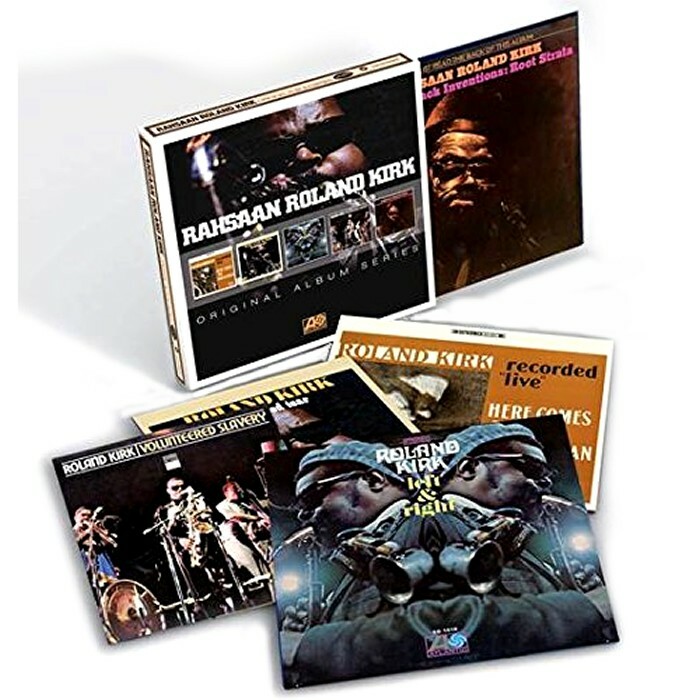 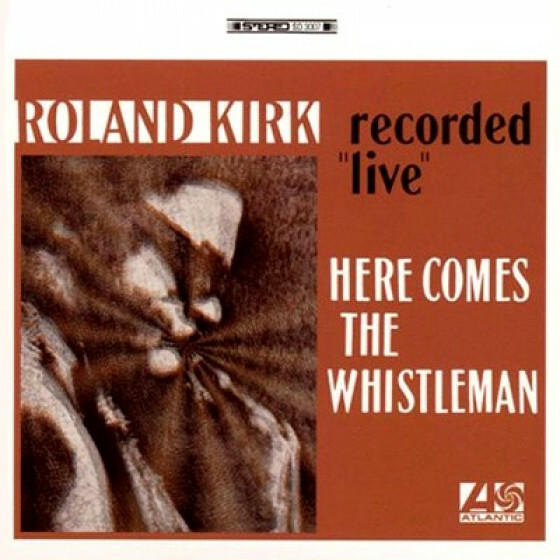 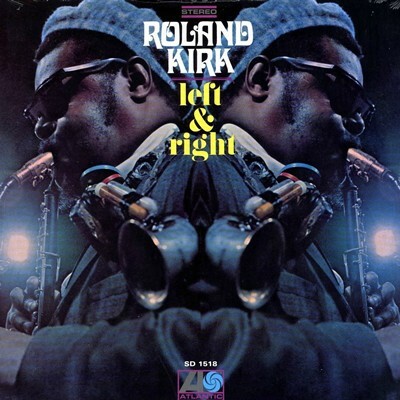 The five CDs of this still outrageous and hugely entertaining collection by probably one of the most inventive saxophonist in jazz history, Rahsaan Roland Kirk. 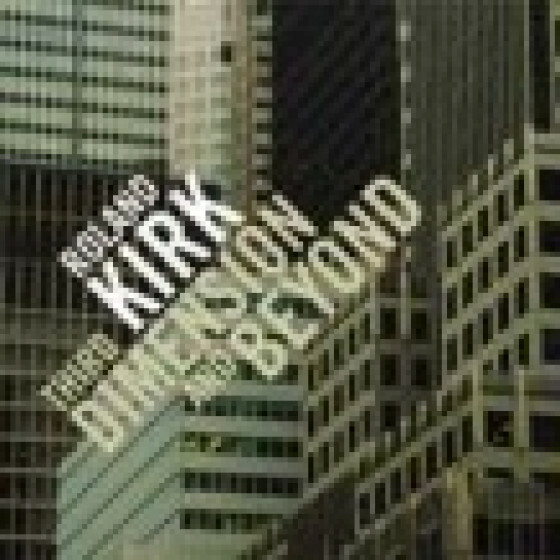 The set collects in card LP replica sleeves, the first five original albums Kirk recorded for Atlantic between 1967 and 1971. 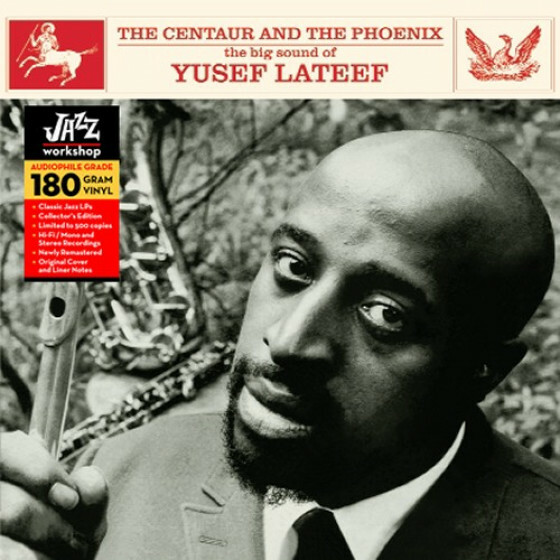 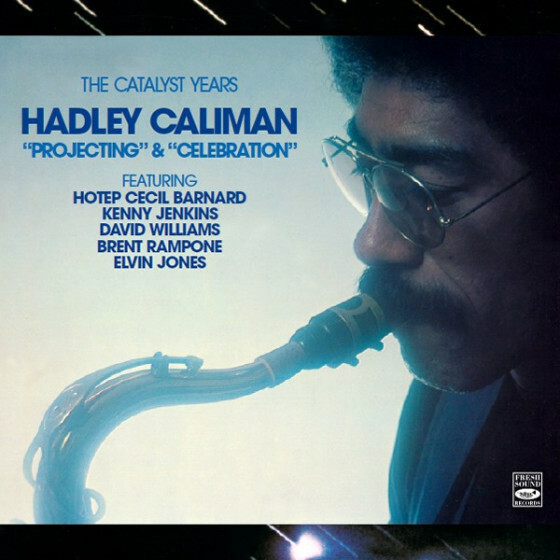 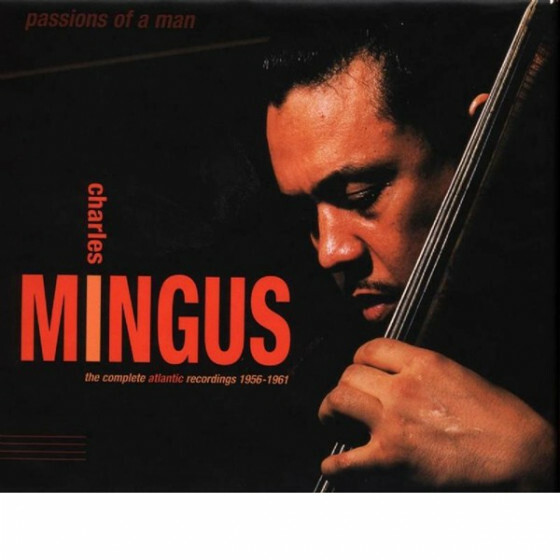 They capture the concentrated power and vivid imagination of a multi-instrumentalist who could play three horns at once and make his own instruments. 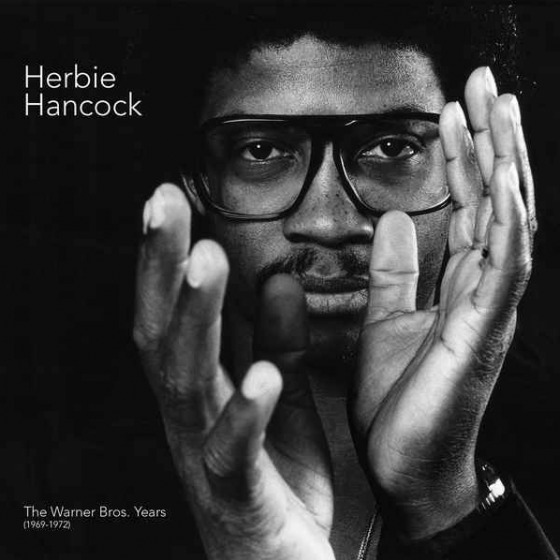 Here, field holler and modern jazz balladry, rocking rhythm and blues, shouts and out-there abstraction are compressed into a single musical vision that roam at will through the legacy of African-American music. 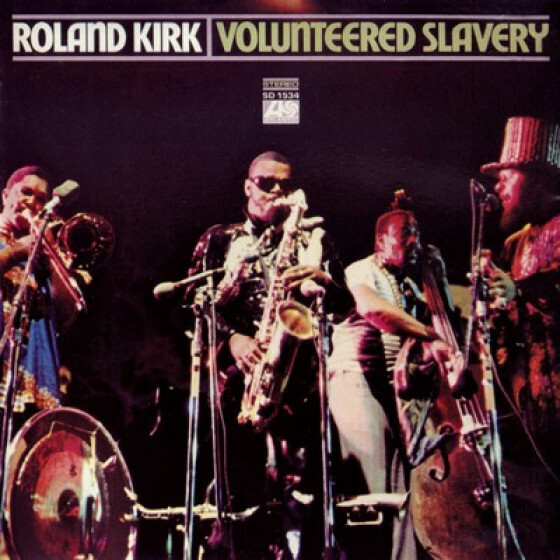 Roland Kirk (alto & tenor sax, flute, nose flute, stritch, mazello), Jackie Byard, Lonnie Smith (piano), Major Holley (bass), Charles Crosby (drums). 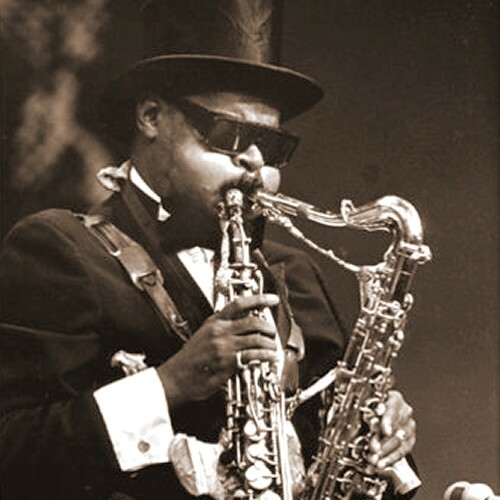 Roland Kirk (tenor sax, clarinet, flute, stritch, mazello, English horn, whistle, flexaphone), Ron Burton (piano), Steve Novosel (bass), Jimmy Hopps (drums). 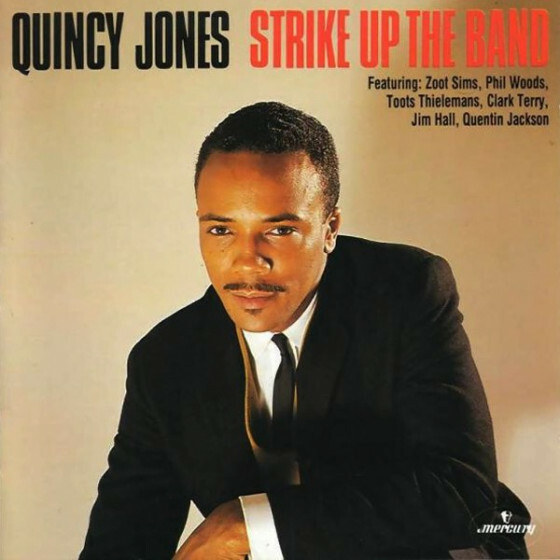 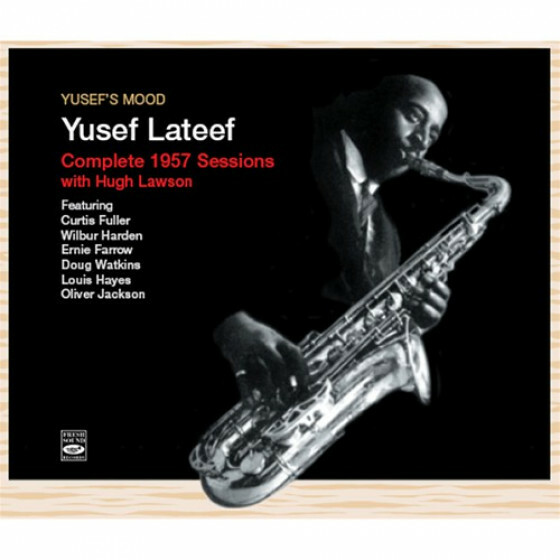 Roland Kirk (tenor sax, manzello, stritch, clarinet, flute, organ, narrator), Jim Buffington, Julius Watkins (French horn), Frank Wess (woodwinds), Ron Burton (piano), Vernon Martin (bass), Roy Haynes (drums), Warren Smith (percussion, vocals), Unidentified strings, Gil Fuller (arranger). 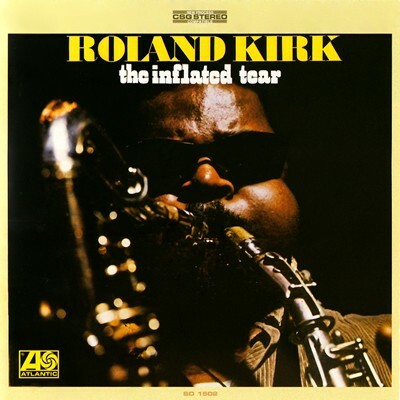 Roland Kirk (tenor sax, manzello, stritch, clarinet, whistle, vocals), Ron Burton (piano), Vernon Martin (bass), Jimmy Hopps (drums), Joe Habad Texidor (percussion). 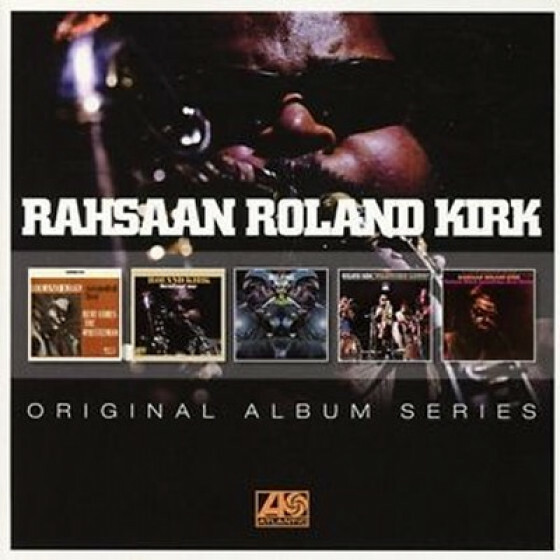 Rahsaan Roland Kirk (tenor sax, manzello, stritch, clarinet, flute, B flat clarinet, E flat clarinet, pipes, harmonium, piccolo, bass drum, thundersheet, cymbals, bells, music box, palms, timpani, gong, bird sounds), Sonelius Smith (piano), Maurice McKinley (drums), Joe Habad Texidor (washboard, triangle, thundersheet, tambourine).